It will not shrink, swell or rot when it gets wet. Ideal as garden decking rope and general garden use. Synthetic Sisal Rope is a popular substitute for natural sisal rope especially for outdoor projects that require a hard wearing and durable rope that will not shrink, swell or rot when wet. Ideal for garden use or a general purpose rope. Synthetic Sisal Rope is a perfect alternative to natural sisal rope. Synthetic Sisal rope is a durable and cost effective rope that is hard wearing and stable in an outdoor environment. It will not shrink, swell or rot when wet. Ideal for garden decking or as a general purpose garden rope. 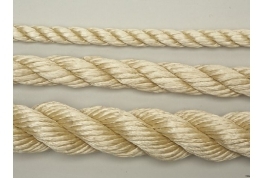 Synthetic Sisal is a popular substitute for natural sisal rope. Our synthetic sisal is a durable and cost effective rope that is hard wearing and stable when outdoors. It will not shrink, swell or rot when it gets wet. 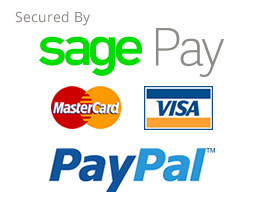 Ideal for use as garden decking rope or general purpose garden rope. Synthetic Sisal rope is the perfect alternative to natural sisal rope particularly if using outdoors. Synthetic Sisal rope is a durable and cost effective rope that is hard wearing and stable in an outdoor environment. It will not shrink, swell or rot when wet. Ideal as garden decking rope and general garden rope use. Synthetic Sisal Rope is a very popular substitute for natural sisal rope. 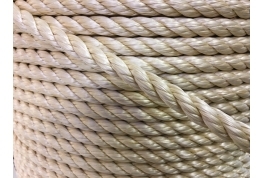 It will not shrink, swell or rot when it gets wet making it the perfect cost effective rope for outdoor use. Especially good as a garden decking rope or general purpose garden rope.